Mustard goes well with cold meats, sausages, grilled steaks, poultry, fish, herbs, wine, garlic, sauerkraut and fruits. Ground yellow mustard acts as a physical emulsifier and stabilizes mayonnaes and salad dressings. It is also used as a flavour enhancer and a water binder in processed meats. Therapeutic uses: In ancient times, the Greeks used mustard for scorpion and snake bites. Mustard plasters were used to stimmulate blood circulation and to warm up cold feet, to relax stiff muscles and to treat arthritis, and rheumatism. 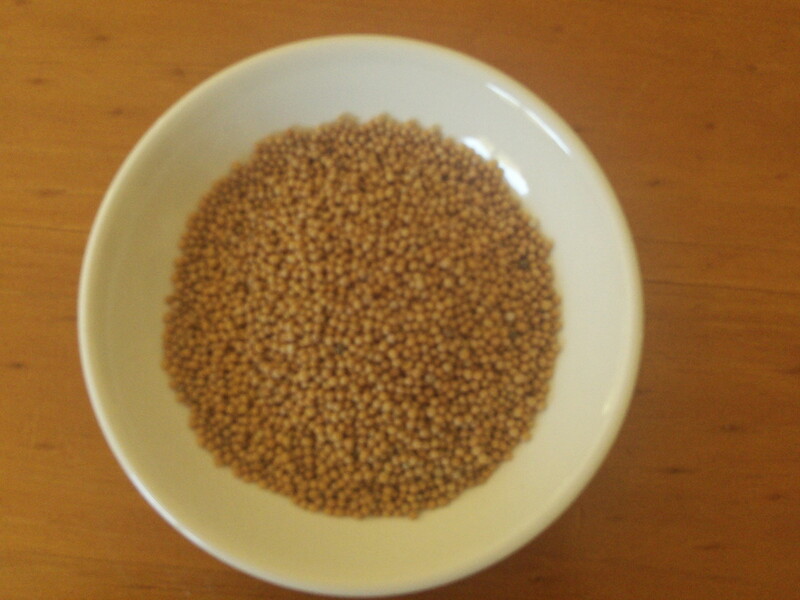 Mustard also stimmulates also the flow of salivary and gastric juices and promotes appatite. It has been used as a lexative, as a remedy for asthma, and to induce vomiting or relieve coughs. It is available in 50g, 100g, 250g, 1kg.